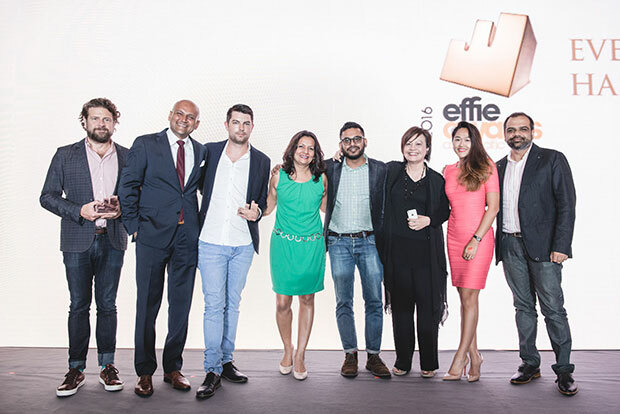 Winners of the APAC Effie Awards 2016 were revealed at the Awards Gala last night at Intercontinental Singapore, celebrating Asia Pacific’s most effective marketing campaigns. Two new Special Recognitions are added this year - Brand of the Year and Marketer of the Year to recognize the joint efforts and close collaboration between clients and agencies to produce successful work. The awards were presented to Ariel Matic and Procter & Gamble respectively, with their entry ‘Ariel – Share The Load’ being the best in show for the night, clinching the Grand Effie, on top of a Gold and a Silver. The Awards Gala, attended by over 200 industry professionals, presented a total 66 Effies – 1 Grand Effie, 12 Golds, 21 Silvers and 32 Bronzes. As with the prior year, India remains to the strongest market in the region on the effectiveness stage, contributing the highest number of metal winners last night. Following in the rankings are New Zealand and Australia. Organized by Confederation of Asian Advertising Agency Associations (CAAAA) and Tenasia Group, the APAC Effie Awards honors the region’s most outstanding marketing communication works that have proven results in meeting strategic objectives. Winners and finalists will contribute points towards the ranking on the 2017 Effie Effectiveness Index, the global ranking which identifies and ranks the most effective marketers, brands by analyzing finalist and winner data from worldwide Effie competitions.